Some grief experts conclude that normal grieving lasts six to twelve months while others believe the grieving process can last longer. Every person who experiences loss needs time to grieve and heal. However, how long the process lasts varies for each person and depends on several factors, including personal circumstances and cultural context. Seek treatment if you are unable to cope with your grief. In response to a loss, the expected symptoms of normal or uncomplicated grief, such as crying, sorrow, sleeplessness, poor appetite, disrupted thinking, fear, anxiety and depression, are self-limiting for most people. In an investigation of the stages and duration of grief, reported in 2007 in the Journal of the American Medical Association (JAMA), Yale researchers found that on the average the symptoms of grief peaked in six months and diminished during the year. When and How Does Grief End? 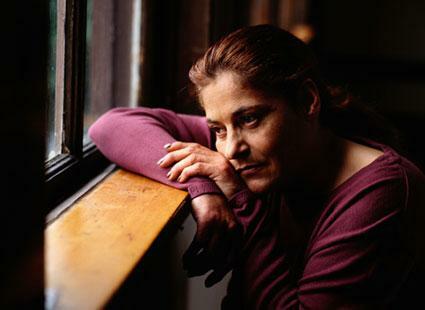 Based on the Yale study findings, it is normal for people to experience some symptoms of grief for two years or more. According to Dr. J. William Worden's book, Grief Counseling and Grief Therapy (Chapter two, pages 36 to 46), it is not possible to predict exactly when grief should end because of the differences in the circumstances of people's lives. Someone who is grieving progresses to a resolution of grief and returns to her previous level of function as the acute grief symptoms improve. As long as there is progressive resolution and an improvement in well-being, there should be no cause for worry. Grief ends when a person reaches a place of inner peace and stability and adapts to a vision of a life without the deceased in her physical world, notes Dr. Worden. Prolonged grieving beyond a year can be considered dysfunctional if persistent symptoms are severe enough to disrupt a person's return to usual function. Some grievers may continue to have one or more symptoms of grief for years but still function normally as noted in a review in the American Journal of Psychoanalysis. For those who move on from their grief, it is not abnormal for some to have a brief return of a few previous symptoms on significant dates, such as holidays, anniversaries and birthdates, according to a 2009 World Psychiatry review of grief. Grief is disrupting your quality of life, your relationships, or your ability to keep up with work or school. You don't have an adequate support system, or you isolate yourself from others. You lose interest in activities you normally enjoy. You are drinking too much or abusing illegal substances or prescription or non-prescription medicines. You continue to have major signs or symptoms of grief-related depression or anxiety such as hopelessness, fear, or panic attacks. You develop signs and symptoms of a physical illness, such as chest pain, palpitations, or recurring or persistent headaches. Treatment by a professional may include grief counseling, cognitive-behavioral therapy, and pastoral or spiritual counseling, as well as depression and antianxiety medicines. A grief support group can also help you, especially if you lack family and social support. These strategies can improve your coping skills and help you resolve your grief and return to your previous equilibrium, so don't hesitate to go for help.